India’s Intellectual Property Appellate Board (IPAB) has revoked a patent granted to British drug giant GlaxoSmithKline (GSK) for its breast cancer drug Tykerbon. The body cited lack of ‘novelty or inventiveness’ for revoking the patent. GSK will be able to contest the decision in the Supreme court of India. The British drug giant cut the price of Tykerb by a third in India recently – a move aimed at flexible pricing in developing countries. This is the latest in a series of blows to GSK, which is also facing an official probe in China for massive bribery allegations and over-pricing. 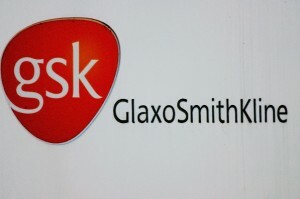 GSK Pharmaceuticals shares were down 2.4 per cent on Friday. “We are studying the IPAB’s decision but maintain our belief in the inventiveness of the lapatinib ditosylate salt and will consider the possibility of taking further steps before the appropriate authorities to validate this,” GSK India told Reuters on Friday. India’s top court had dismissed Swiss drug maker Novartis AG’s plea to win an Indian patent for its anti-cancer drug Glivec in April. Indian drug giants such as Cipla which produce cheaper generic versions of the drug Glivec at a fraction of the cost at which Novartis was pricing it, tend to gain from the ruling.